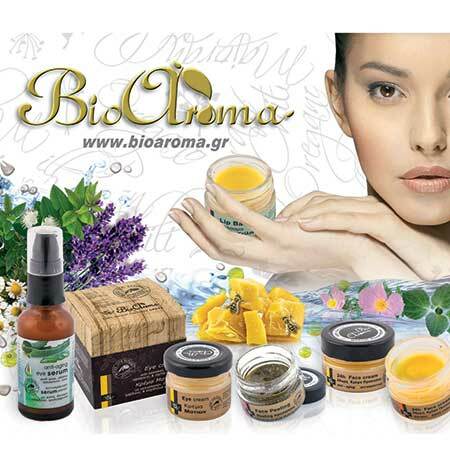 Natural Stimulating Hair Shampoo Bioaroma was added to your shopping cart. Natural toning hair shampoo with Olive oil, Laudanum, Dittany and essential oils of Rosemary and Laurel. Natural toning hair shampoo Bioaroma with Olive Oil, Laudanum, Dittany and essential oils Rosemary and Laurel. Shampoo with Laudanumand Dittany, also enriched with a mixture of organic essential oils from Crete, such as rosemary, thyme, sage, bay leaves and lemon. Use: Wet your hair with warm water, apply a small amount of toning hair shampoo Bioaroma and do a light massage on the head. Repeat once more. The pores with hot water open and massage creates hyperemia in the head. Thus the essential oils penetrate more easily and effectively. Rinse with lukewarm water. Repeat 2-3 times a week. The result is visible within days. The hair becomes stronger and visibly more dense. Ingredients: Aqua (Water), Cocamidopropyl Betaine, Panthenol, Glycerin, Sodium Lauroyl Sarcosinate, Benzyl Alcohol, Caprylyl / Capryl Wheat Bran / Straw Glycosides, Fusel Wheat Bran / Straw Glycosides, Citrus Medica Vulgaris (Lemon) Peel Oil, Thymus Vulgaris (Thyme ) Oil, Laurus Nobilis (Laurel) Leaf Oil, salvia Officinalis (Sage) Oil, Rosmarinus Officinalis (Rosemary) Leaf Oil, Dehydroacetic Acid, Polyglyceryl-5 Oleate, Sodium Cocoyl Glutamate, Dictamnus Creticus (Dittany) Oil, Glyceryl Caprylate, Olea Europaea (Olive) Fruit Oil, Cistus Ladaniferus (Labdanum) Leaf / Stem Extract, Eugenol*, Linalool*, Limonene*.